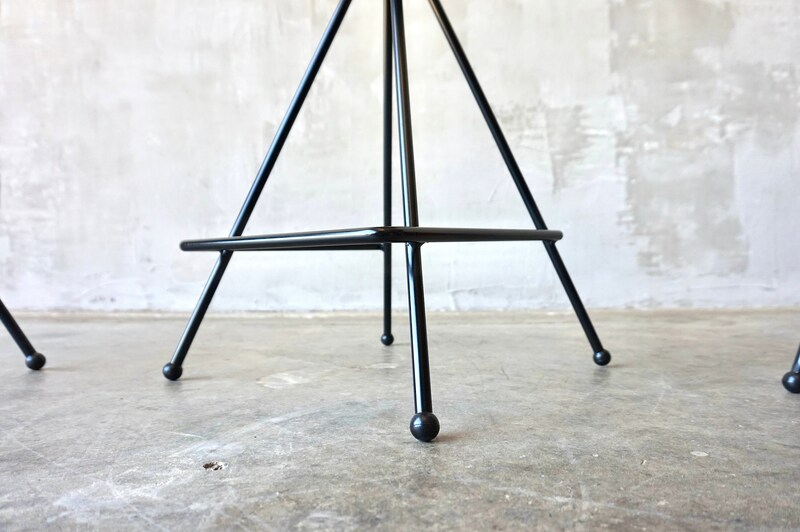 Made to Order Iron Modernist Stools. 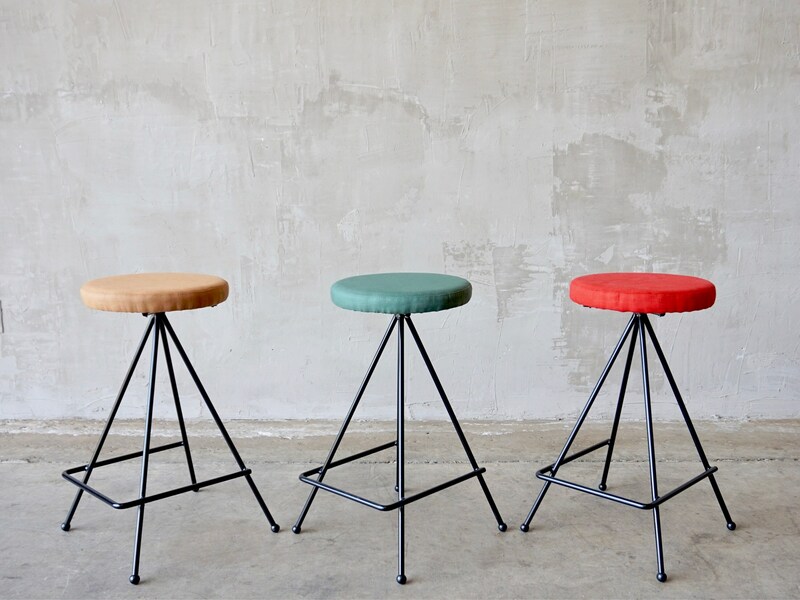 These stools are constructed of hand forged and welded 1/2" enameled steel. 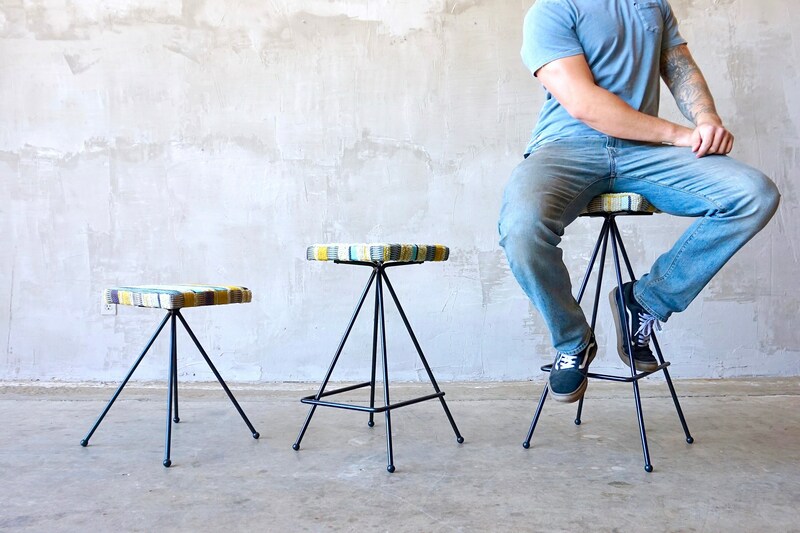 They are topped with 1" high density foam and expertly upholstered seats. 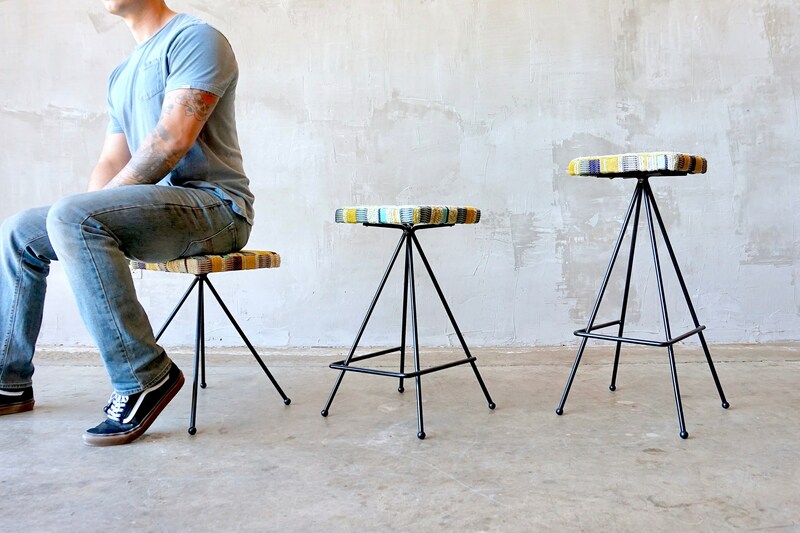 While minimal in materials they can blend in with maximal style. 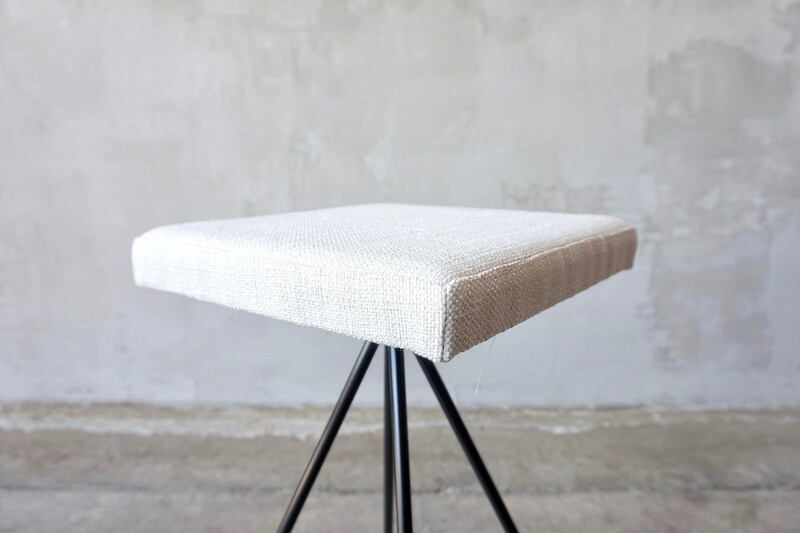 Each stool will be upholstered in our standard cream linen fabric as shown, however, if you have a custom upholstery request or would like to send in your fabric of your choice, feel free to contact us. 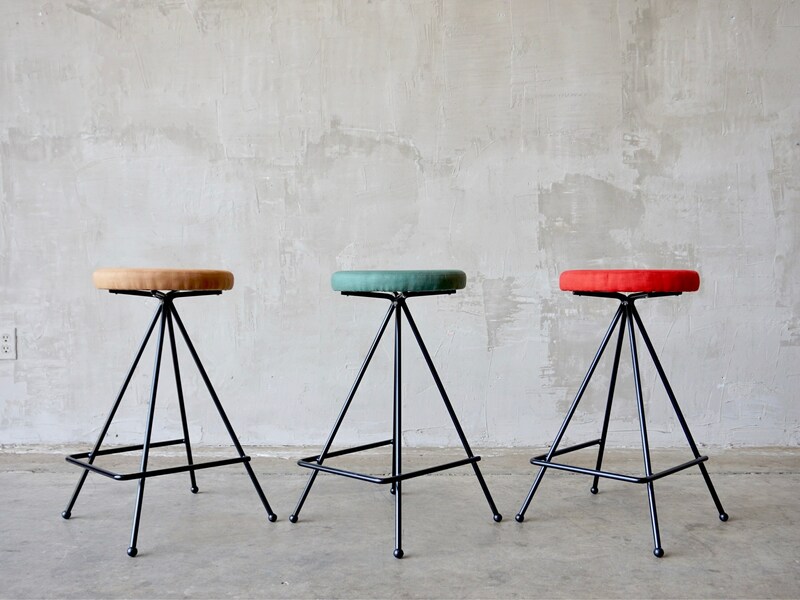 Available in 15" (dining or vanity), 24" (low counter or island) and 29" (barstool) heights. 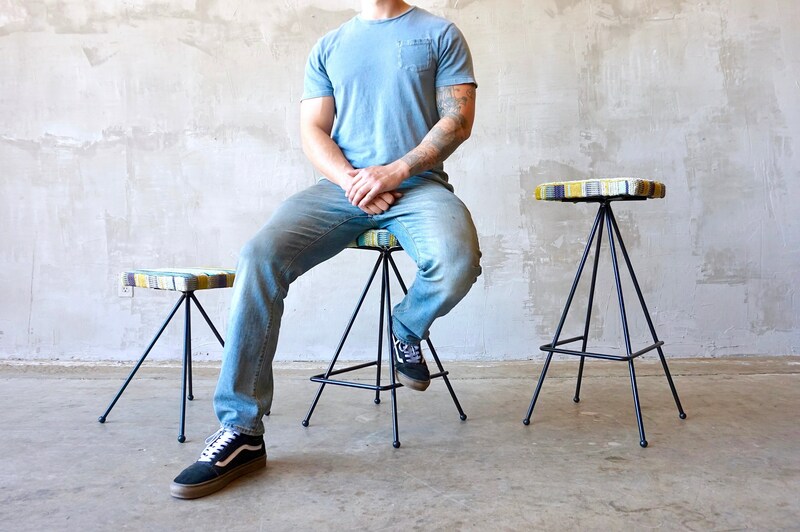 Model shown is 6' tall. 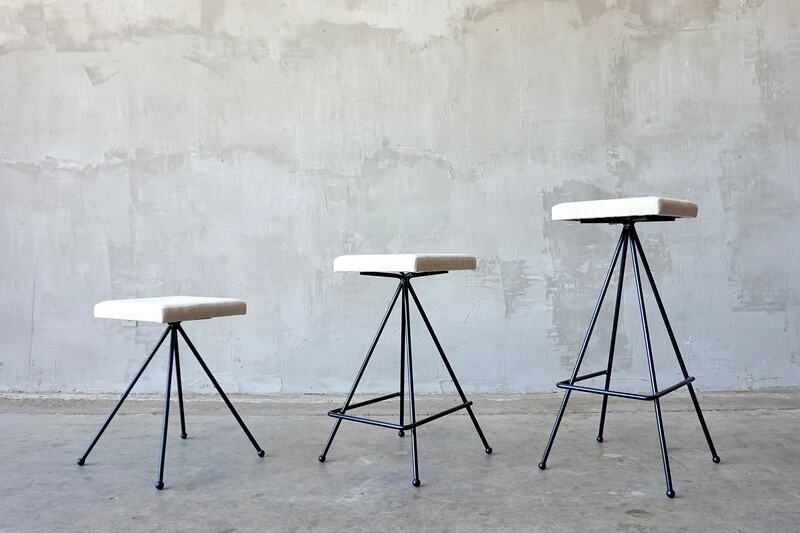 For custom orders or bulk discounts, please contact us. Free shipping is included on all orders.